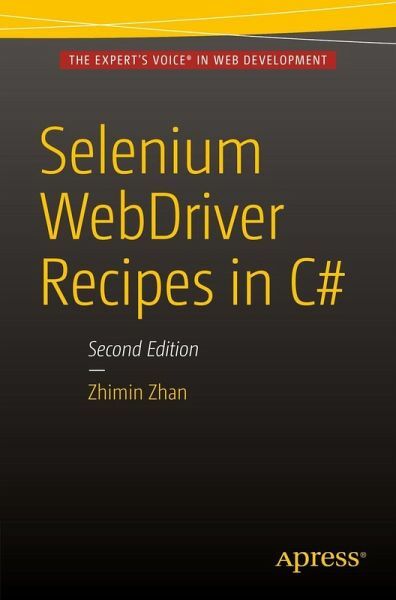 Solve your Selenium WebDriver problems with this quick guide to automated testing of web applications with Selenium WebDriver in C#. 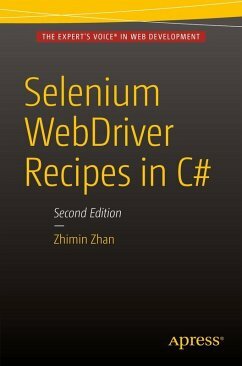 Selenium WebDriver Recipes in C#, Second Edition contains hundreds of solutions to real-world problems, with clear explanations and ready-to-run Selenium test scripts that you can use in your own projects. This book is for experienced .NET and C# Windows application programmers/developers. Zhimin Zhan is the founder and Continuous Integration Officer of AgileWay Pty Ltd, Australia. As an advisor and coach, he helps organzations by implementing test automation with Continuous Integration using open technologies such as Selenium WebDriver and Watir. Zhimin is the creator of TestWise, the next-generation functional testing tool that supports functional test refactorings, a frequent speaker and writer. He shares his test automation and CI experience at testwisely-dot-com.